Two doctors, married to each other, were accused of health care fraud. They pled guilty and fought at sentencing about the amount of the restitution that they would have to pay back to the insurance companies for what they did. And, in United States v. Sharma, the Fifth Circuit held that a district court can’t just make up a restitution number. Dr. Arun Sharma and Dr. Kiran Sharma ran two pain management clinics in Texas. I have no idea what those are, but they sound really unpleasant. Happily for the Sharma’s patients, many of the injections which were billed never happened. Though, that the injections never happened was not so happy for the insurers or, ultimately, the Sharmas. Instead, two things would happen. First, sometimes a cheaper faster (and, I imagine, easier for the patient) “tigger point injection” would be given. 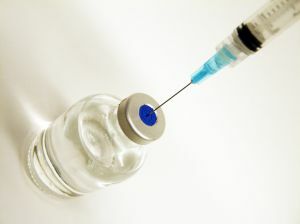 The doctor would then “upcode” the injection as a paravertebral facet-point injection, since that injection pays more. If you’ve ever done a health care fraud case, you know that upcoding is a huge deal. Then, second, sometimes the doctors would simply create phantom bills for injections that never happened. The Sharmas were indicted for 64 counts of conspiracy, health care fraud, mail fraud, money laundering, and unlawful distribution of controlled substances. They ultimately pled guilty to one count of conspiracy and one count of health-care fraud. The big issue at sentencing was restitution. In their plea agreements, the Sharmas agreed that the district court would determine the restitution amount and that they would do what they can to pay it. Though, in an atypically compassionate move, the government agreed to place $1,500,000 of the money that the Sharmas had received in an educational trust for their son. Before sentencing, a probation officer prepared a Presentence Report. The PSR determined that the loss amount was $43,318,170.93 and that the Sharmas should pay restitution in that amount. It was not a coincidence that the $43 million amount was submitted by the insurance companies. The Sharmas hired a forensic accountant and submitted an alternative restitution figure. The accountant backed out losses that the insurance company said were the result of procedures other than injections – like the allergy treatments that Kiran Sharma provided which were undisputedly legitimate. The accountant also said that the losses on the upcoded procedures was done incorrectly – the loss should be the difference between the procedure that was done and the procedure that was billed for. It should not be just the cost of the procedure that was billed for. The account calculated the loss at $21,028,963.61. Which is still not chump change, but it’s a lot lower than the $43 million. The district court rejected the accountants work, accepted the insurance companies’ number, and ordered restitution of $43 million. One insurer, Tricare, claimed as loss all of its payments to the Sharmas dating back to 1997. Inasmuch as the charged conspiracy did not begin until 1998, however, the 1997 payments plainly do not constitute actual losses under the MVRA.18 A second insurer, Texas Amerigroup, reported that it paid the Sharmas $650,775.01 for injections, out of a total of $929,884.55 paid to them for all treatments. Yet the Probation Office listed the larger figure, the one for total payments, as actual loss instead of listing only the lesser amount that the insurer paid for injections. This too overstates the insurer’s loss by including payments not caused by the specific convictions.19 A third insurer, Principal Life Insurance, attached a spreadsheet of all of its payments to the Sharmas, but expressly stated that it was “not sure which claims relate to the guilty plea.” The Probation Office nevertheless reported all of those payments as actual loss. The case was sent back for the district court to recalculate the amount of restitution that the Sharmas owe. Matt Kaiser is an attorney in Washington, D.C. He represents people in federal criminal charges, government investigations, and civil litigation. Feel free to email him at mkaiser@kaiserdillon.com. On this blog, I write about every published decision in a federal criminal appeal where the defense wins. Sometimes the defense wins a new trial, sometimes a new sentencing hearing, and sometimes an indictment gets dismissed. Regardless what the win is, from an acquittal to a recalculation of a restitution amount, each published defense victory in a federal court of appeals is written about here. These cases are won by lawyers bringing appeals all over the country. Nice work folks. For more information, please read this post.